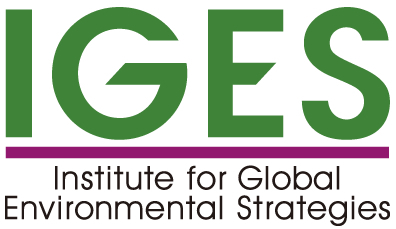 We are very pleased to welcome IGES as a UNEP FI supporting institution, as it has been playing an important role in innovative policy development and strategic research for environmental measures. IGES has been instrumental in feeding policy research findings into sustainable development relevant political decisions both in the Asia- Pacific region and globally, over the past 20 years. IGES’ increased focus on facilitating greener and inclusive finance in Asia on the basis of adoption of the Paris Climate Agreement and the Sustainable Development Goals fits very well with UNEP FI’s strategy and priorities. IGES has been collaborating with the UNEP FI and has held a series of seminars for UNEP FI signatories in Japan on relevant topics such as Climate Finance and Climate-related Financial Disclosure. IGES will also provide technical support for UNEP FI’s Asia Pacific Roundtable and 25th anniversary event to be held in Tokyo in December 2017. Through those collaborations, we are convinced that IGES shares the common values of UNEP FI’s membership and will contribute to UNEP FI’s success in furthering the adoption and implementation of sustainability practices within the finance industry, not only in Japan, but also in Asia Pacific Region and beyond. The UNEP FI Team is looking forward to working with IGES. Please see more details about IGES here.